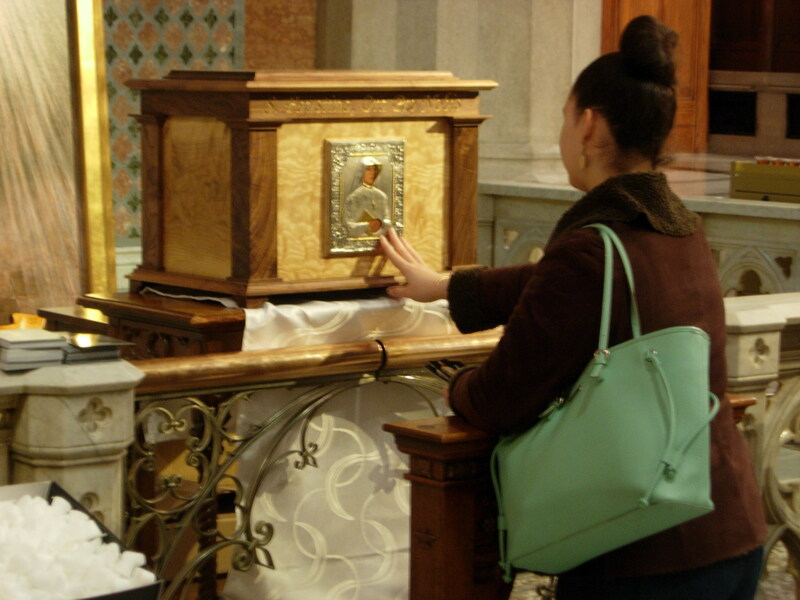 At first, the Devotion to the Divine Mercy was spread the way other devotions were: litanies, chaplets and novenas were popular parts of them and Sister Faustina’s confessor from Vilnius, the blessed Rev. Michał Sopoćko, spread the Devotion to the Divine Mercy by popularizing these forms. It was only the Rev. Professor Ignacy Różycki who laid the theological foundations for this Devotion in the forms conveyed by Saint Faustina – for the needs of the beatification process of the Apostle of the Divine Mercy he analyzed her ‘Diary’ fully. The analysis shows that the attitude of trust in the Lord God is the very essence of the Devotion. This is the biblical attitude of faith, trust in God. In practice, it consists in fulfilling His will expressed by the Commandments, obligations of one’s state in life, the Beatitudes, the evangelical counsels or discerned inspirations of the Holy Spirit. The attitude of mercy towards neighbor is the other essential condition for this Devotion. Thanks to it, the Devotion to the Divine Mercy does not consists only in prayers but it demands that we shape the evangelical attitude of active love of people in ourselves. Only trust in God and mercy towards neighbor provide the foundation for the new forms of the Devotion, which the Lord Jesus conveyed to Sister Faustina: Christ’s image with the words Jesus, I trust in You at its bottom, the Feast of Mercy on the first Sunday after Easter, the Chaplet to the Divine Mercy, the Hour of Mercy and spreading honor of the Divine Mercy. As regards the new forms of the Devotion, the promises attached to them pertain to all people that will practice the forms. This is what differentiates them from other prayers noted down in Saint Faustina’s ‘Diary’ – promises attached to the latter, for instance, to the act ‚O Blood and Water’ or the Novena to the Divine Mercy, pertain to Sister Faustina only. In order to benefit from the great promises it is necessary to practise these forms of worship in the spirit of the Devotion – that is, what is needed is the attitude of trust in God and mercy towards neighbor.